-A normal selection of Faygo pop flavors (p.s. when I went to their site to get the link to put here, I learned that they are, apparently "The Original Party Pop." Did you know that? 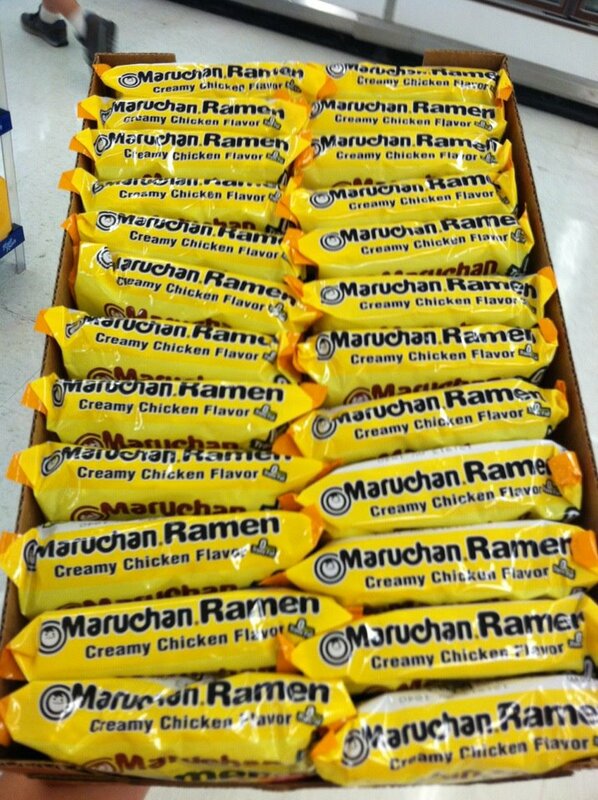 -Maruchan Ramen (most stores around here sell another brand, so the flavor selection is not very vast. I was in Michigan for the weekend for a family reunion (more on that later, hopefully). When Boyfriend and I were heading out of town to make the trek back to PA, we stopped at the little grocery store near my grandparents' small town (my grandpa worked there for exactly one day once upon a time- haha!) and decided to get some Koegels to bring home. 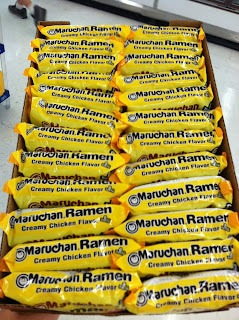 I was also reminded that I needed to pick up some of the creamy chicken flavor of the Maruchan ramen. Why, you ask? Because it is the BEST. I love it so much and I haven't had it for years. We bought some. We bought a lot. At four for $1, how could I resist?